Herein lies the stuff I hope ye buy. It's a pretty short list for now. The Pirate Utility iPhone App is available on the iTunes App Store. A mere 99¢ in the US. 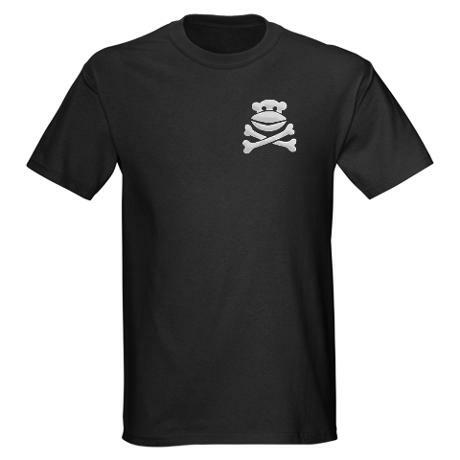 Pirate Monkeyness logo on the front. 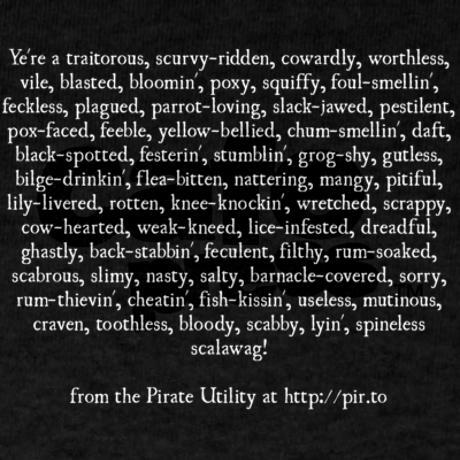 64-word Pirate insult on the back. 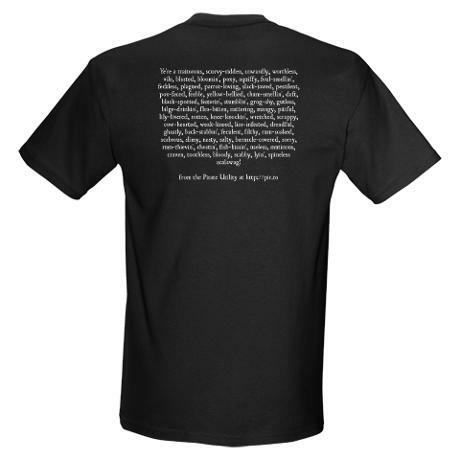 Available on the Pirate Monkeyness CafePress store.